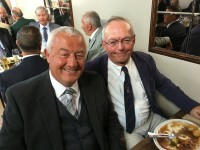 This page is where you can view all the latest news of things going on at Macclesfield Golf Club. 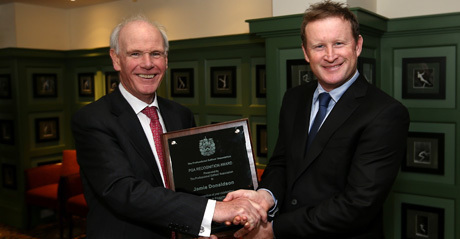 On Wednesday 13th February a great night was had by everyone who attended the opening of The Jamie Donaldson Lounge. Captain Rod Price sincerely thanked Jamie for all his efforts in making this happen. The lounge can be enjoyed by members & visitors and it is there for posterity. 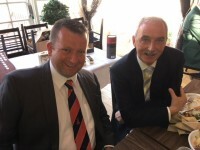 The Captain also thanked Jack Buckley for all his hard work in pulling things together along with ‘The Algarve 8’, Rick Ward & Garry Tomlinson. 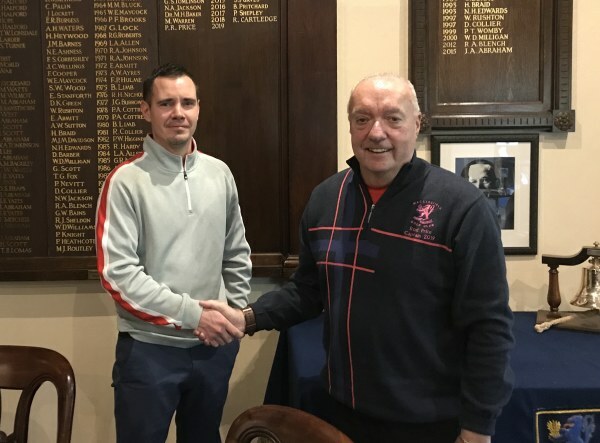 Macclesfield Golf Club welcome their new Head Green Keeper Phil Worth. Phil commented that he feels honoured to be accepted as the Head Green Keeper at Macclesfield Golf Club. He said it’s a great club with a prestigious heritage and unique & challenging course layout. I look forward to playing a pivotal role in the clubs continual progression & success going forward. Phil starts in his new role on Monday 4th February 2019. 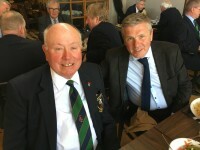 Pictured with - Captain Rod Price. On 19th October our junior golfers held their presentation. balls from The Golf Foundation. prize generously supplied from Jamie Donaldson. 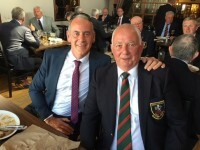 Another great trip was enjoyed this year to Portpatrick in Scotland where all golfers enjoyed some unbelievable weather and the usual fantatstic hospitality with a great matchplay challenge by our Irish opponents. MGC were unable to beat the Irish team but will try their best to beat them this year. The drone filming of the course is now up live on our website. Each hole has it's own flyover and from the air the course looks fantastic. All the great work Mark and his team have been putting in can be really appreciated. The intro video can be viewed by clicking this link . 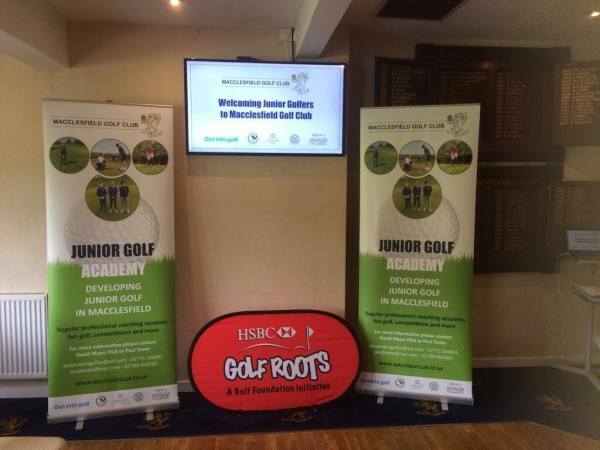 The Juniors are getting going at Macclesfield Golf Club. between now and March 2018.
start the next series of coaching. 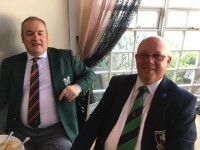 David Myers PGA or Kerry Ward our junior organiser. No, it's Greg with his drone! For those who have played this week you may have seen something a little strange in the skies above the golf course. 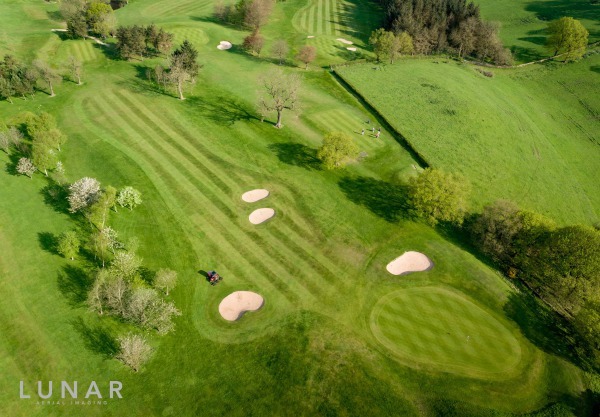 Local drone pilot and owner of Lunar Aerial Imaging, Greg Chivers, has been out filming some quite stunning footage of the course with his state of the art drone. The filming is still ongoing but here are a few images to help whet the appetite. 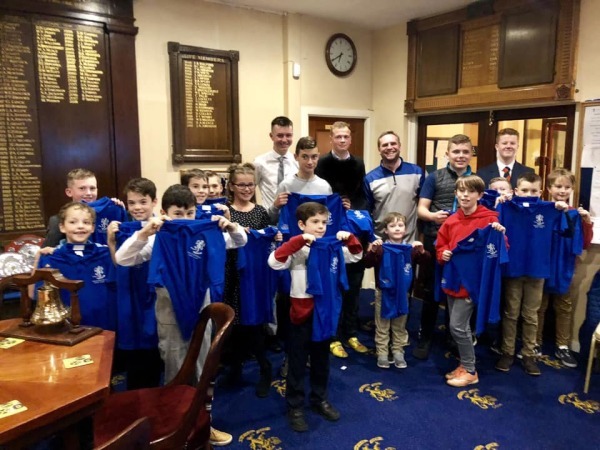 Some of Macclesfield Golf Club's juniors were out on the course this week, but not just to play golf, they were also taking centre stage to star in a film to help promote junior golf at the club. We hope you enjoy the film - for more information about junior golf please email our Junior Organiser - Kerry Ward. 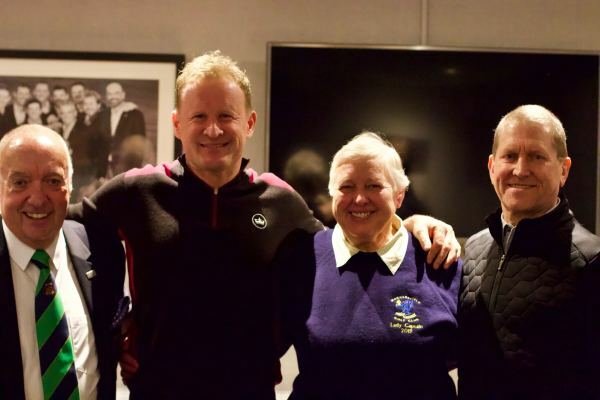 The 41 year old, who claimed the winning point for Europe in the 2014 matches against the United States, was the guest of honour in the annual event at the Midland Hotel which raises money for the PGA Benevolent Fund. Donaldson will be forever remembered for sparking jubilant celebrations with a sublime nine iron to within inches of the flag on the 15th of the PGA Centenary Course to defeat Keegan Bradley 4&3 in the singles at Gleneagles two years ago. 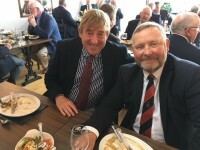 It capped a career highlight to date for the Welshman who was playing off a seven handicap at aged 16 but climbed through the amateur and professional ranks on the back of hard work and dedication. Along the way he has overcome a career threatening injury and landed the biggest win of his career at the 2013 Abu Dhabi HSBC Golf Championship, holding off Justin Rose and Thorbjørn Olesen to win by one shot. 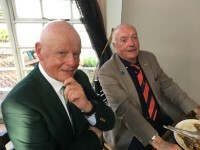 The Abu Dhabi triumph came only six months after he broke his European Tour duck with victory in the 2012 Irish Open, where he fired a stunning 66 to win by four strokes at Royal Portrush. He also won the Thailand Golf Championship at the end of 2014 while he notched three Challenge Tour victories to his name as he was coming through the ranks. PGA chief executive Sandy Jones said: “Few people will forget that winning shot to clinch the Ryder Cup at Gleneagles. It was a fantastic moment but was richly deserved for all the hard work and dedication Jamie has shown over the years which has seen him rise to the highest levels of the game both as a top amateur and professional. 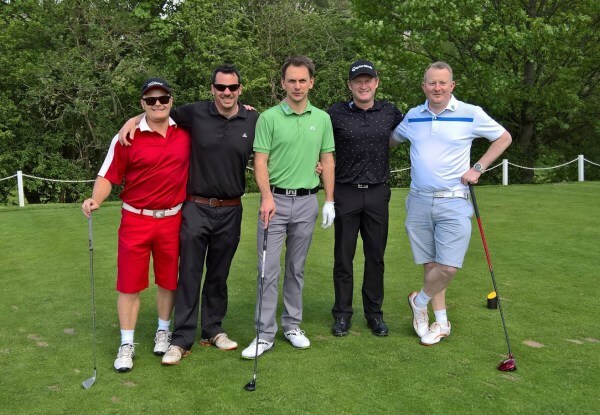 Someone familiar turned up for a round on Saturday for our first major of the year - The Jamie Donaldson Spring Cup. 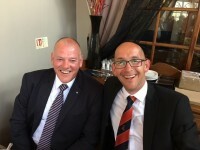 Honourary Life Vice President, Jamie Donaldson, enjoyed an afternoon round with club members in the glorious sunshine. The course was in fantastic condition, with some challenging pin positions but this didn't faze Ryder Cup winner Jamie who finished his round with a respectable 4 under par. Jamie was also on hand to chat with members after his round and present The Spring Cup to this years winner Gareth Robinson. 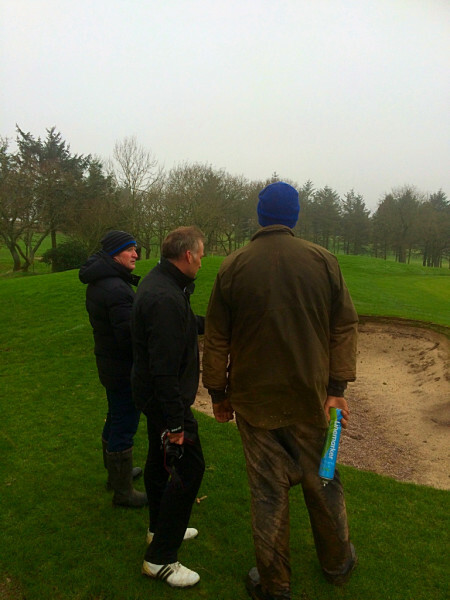 Jamie recently walked the course with our head green keeper and course architect James Edwards. 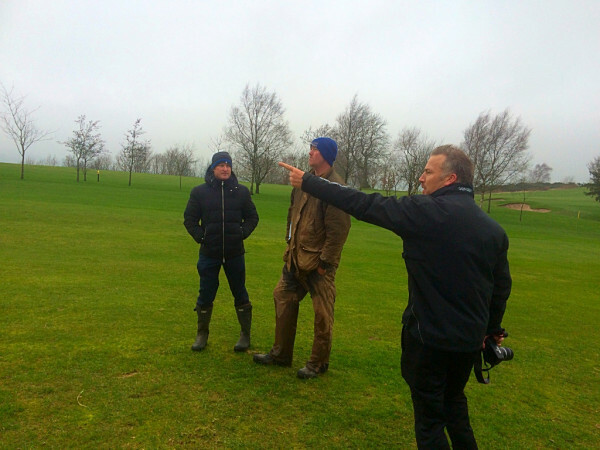 They looked at what further enhancements can be made to the course such as fairway and green shaping. Jamie drawing on his experiences of playing some of the best golf courses in the World. 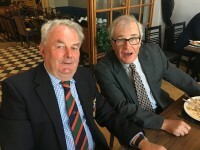 Unfortunately MGC were unable to beat the Irish team on this occasion but it was very close indeed losing by just one match over the two rounds. 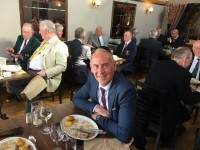 Rookie Paul Tovee took the individual Prize for Macclesfield Golf Club with a two round stableford score of 71. 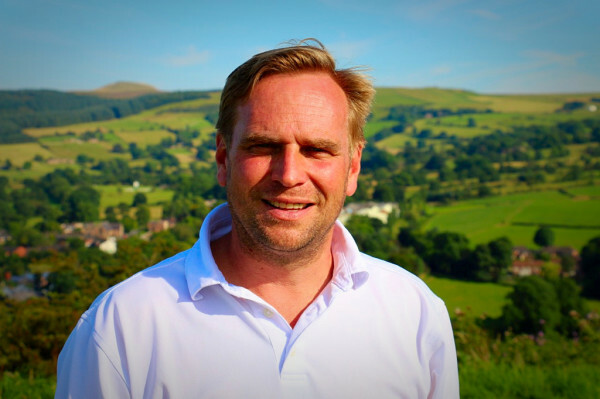 Dave Myers PGA Professional and England Golf provide ladies golf taster sessions. 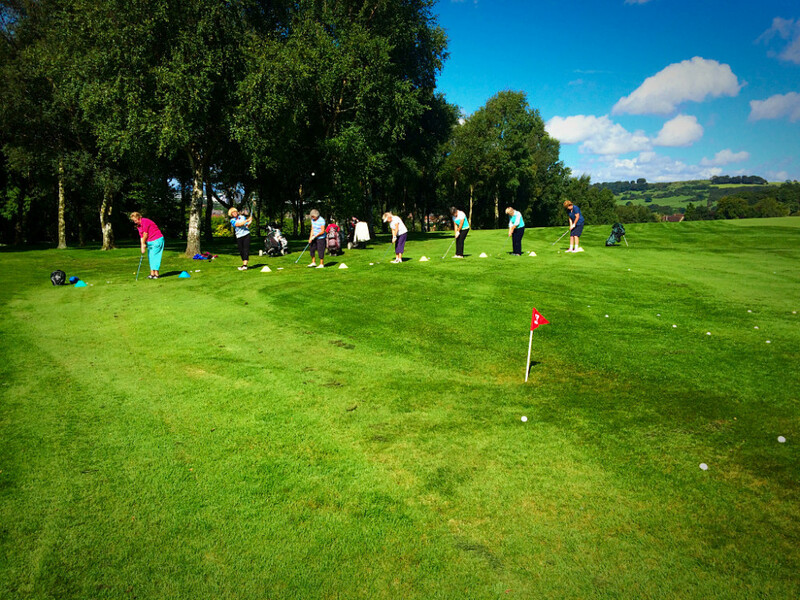 Macclesfield GC hosted an England Golf - Get into Golf taster session for ladies on Wednesday 31st August. PGA professional Dave Myers provided his expert coaching to the ladies with chipping and bunker sessions. The ladies then relaxed in the clubhouse with tea and cake and discussed what they had learnt in a relaxed and comfortable environment. This is a short video showing the fantastic work our head greenkeeper and his team are doing to address the drainage requirements on the 16th hole.